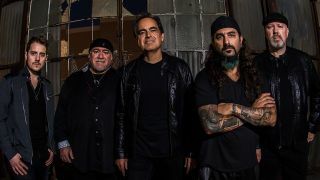 The Neal Morse Band have premiered their new single Welcome To The World exclusively with Prog. They’ve released a lyric video for the song, which is the first material taken from their upcoming album The Great Adventure, which will arrive on January 25 via Radiant Records/Metal Blade. Vocalist, guitarist and keyboardist Morse is joined once again by drummer Mike Portnoy, bassist Randy George, keyboardist Bill Hubauer and guitarist Eric Gillette. Speaking about Welcome To The World, Portnoy says: “Here’s the first taste from the upcoming double concept album The Great Adventure. “While the album is made up of two acts and five epic chapters, there are many songs within the chapters with constant reoccurring themes, riffs and melodies that make the entire album a very cinematic experience – continuing on from its predecessor The Similitude Of A Dream. The Neal Morse Band will head out on the road from February next year and have shows lined up across North America, the UK and Europe. Find a list of all dates below, along with The Great Adventure tracklist and cover art.